The Library holds 2 levels of ESOL (English for Speakers of Other Languages) classes for women: a Beginners’ class on Mondays and Fridays from 10am-12pm and a Pre Intermediate class on Tuesdays and Thursdays at the same time. Both classes run throughout college term-time. Students learn general English, practising speaking, listening, reading and writing in an informal and lively group setting. The classes are taught by teachers from Glasgow Clyde College and towards the end of the course the students can take an SQA ESOL unit. Please note, Glasgow Women’s Library do not organise bookings for these classes. If you would like to join an ESOL class in Glasgow please visit the Learn ESOL Glasgow website. Get your ESOL testing certificate to find out which level of ESOL class is best for you (visit the ESOL testing certificate website). Then register on the ESOL Access Register website. The register tells colleges and community classes that you want to learn English. Keep your mobile phone number up to date on the ESOL Access Register. Information will be sent to you as a text message to the mobile number you use to register. 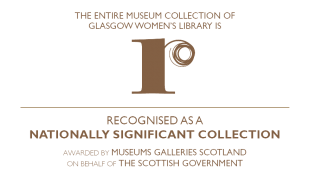 There are lots of other events and learning opportunities at Glasgow Women’s Library. To find out more about what else happens here please visit our ‘What’s On’ event pages or come to the library to visit us, we’d love to meet you.